Remember the gangster suits that were popular in America in the 1950’s? 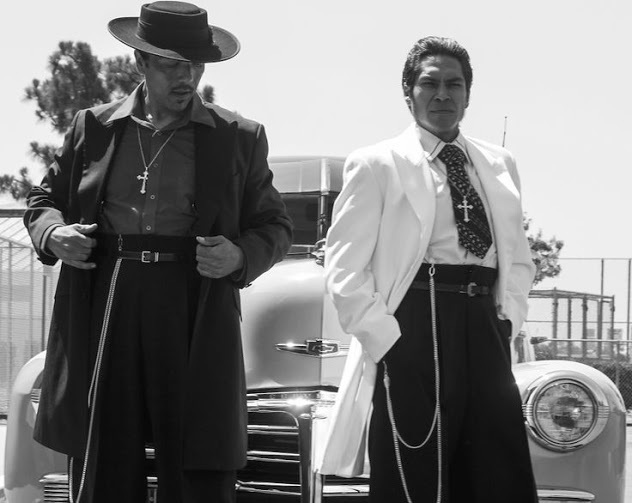 Those high waisted wide leg trousers and elongated jackets with shoulder pads, the hats, the shoes with thick soles, the long chains hanging from the waist – it was depicted incredibly well in movies about gangsters. But do you know how that fashion trend started, and ultimately why and how did it end? 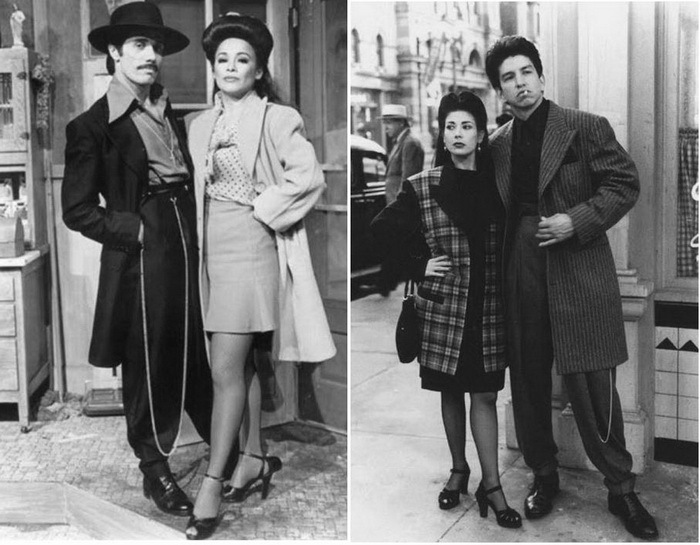 While the zoot suits were popular amongst gangsters because they made it really easy to hide guns, Mexican immigrants were the first to wear those suits. They were extremely comfortable and popular. 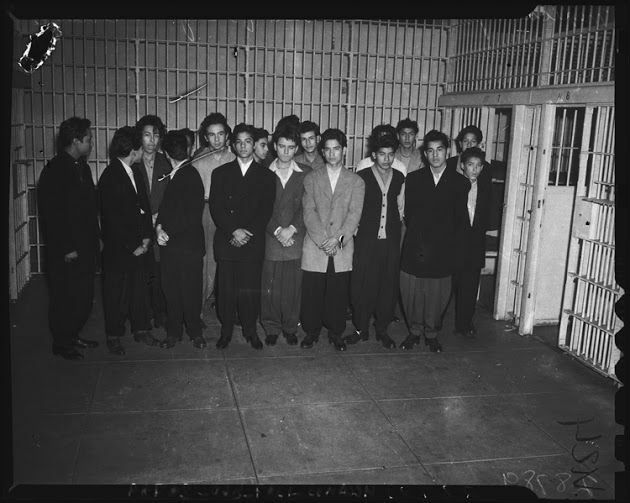 Mexicans who wore those suits called themselves “pachuco”, which later became associated with street gangs, nightlife and flamboyant behavior. However, it weren’t the Mexican immigrants that started the riots. 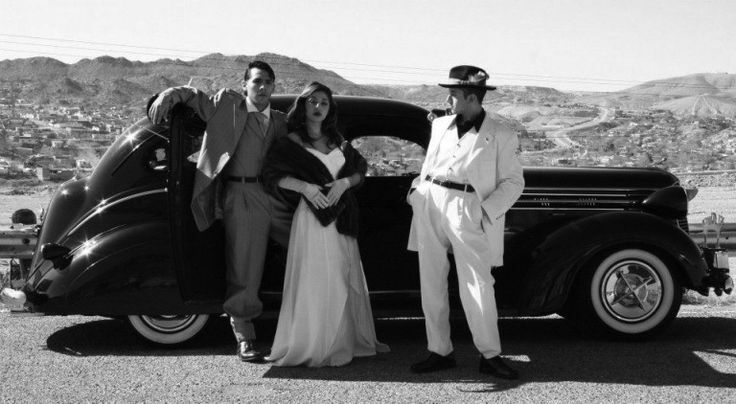 Back in 1940s, during World War II, the zoot suits were at the peak of popularity amongst young Mexican-Americans. There were also a lot of newly assigned military servicemen stationed in California at the time. A conflict broke out. 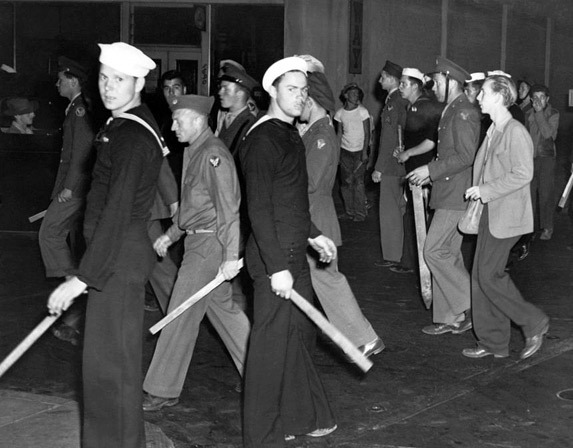 For no real reason other than boredom, too much testosterone (and obviously some racism) the American servicemen and sailors started attacking Mexican immigrants. 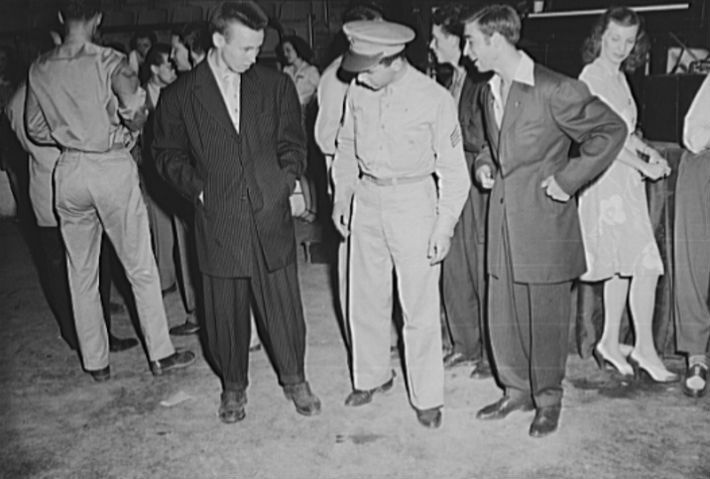 Apparently wearing a zoot suit was seen as “unpatriotic” by the American soldiers. 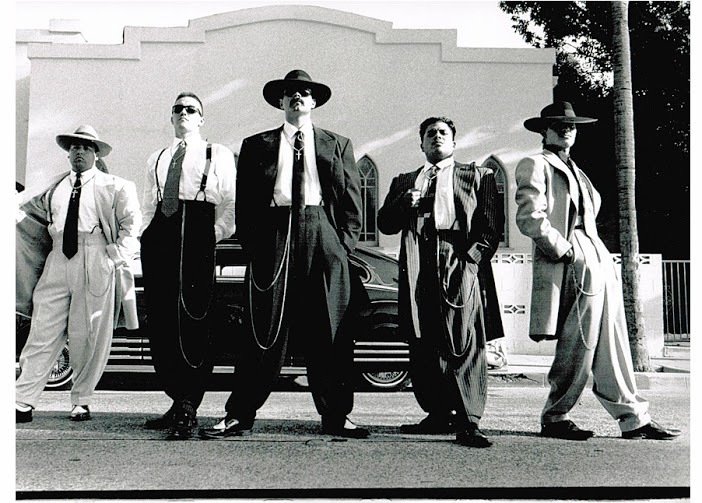 It wasn’t hard to spot them, since the zoot suits very quite flashy and made them an easy target. To anyone looking from the outside the problem should’ve been obvious. The American soldiers were being racist. You’d think the police would fix this problem, yet they didn’t intervene. And even when they did, they arrested only Mexicans, and never the soldiers. The problem was exacerbated even further when the American media started covering the events. 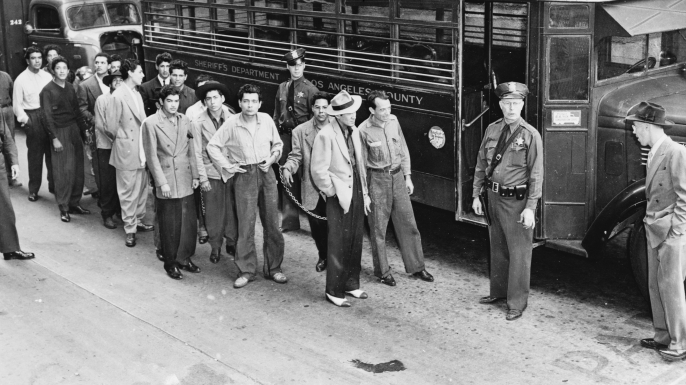 All the the newspapers said that Mexicans were violently attacking American military personnel and sailors, police and newspapers were calling Mexican-Americans — “pachuco hoodlums and baby gangsters”. 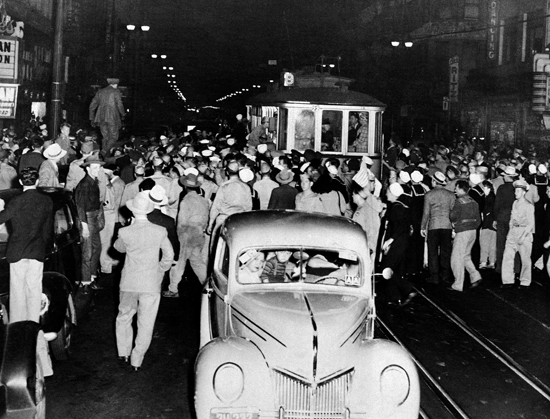 It came to a point where the press started writing about these attacks as having a “cleansing effect that was helping LA to get rid of hoodlums and miscreants”. 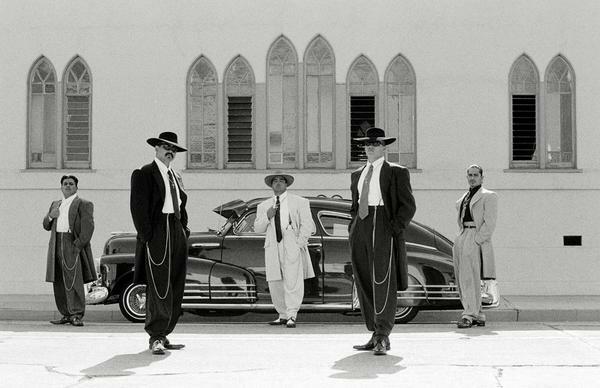 Soon afterwards the zoot suits were made illegal to wear in LA. The reason the authorities came up with for this was that it was the war and everything needed rationing. 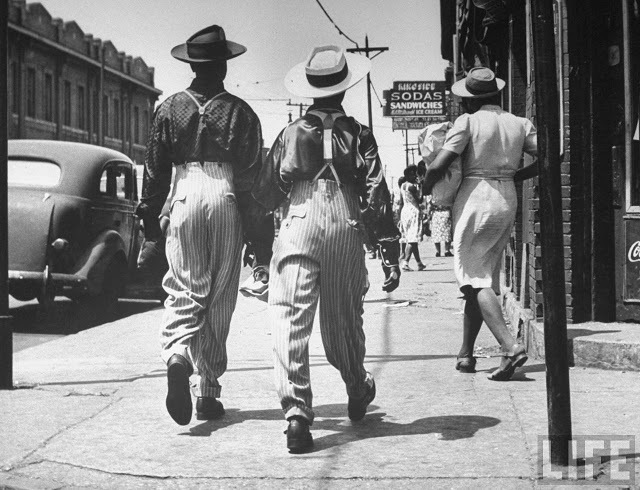 Apparently the zoot suits required using too much fabric and that was unreasonable and wasteful in the time of war. However, that didn’t stop the Mexican-American youths. They continued to wear the suits they already owned and there were always those willing to make new suits, even though it was illegal. This sparked even more attacks, this time not only in California but across the U.S. 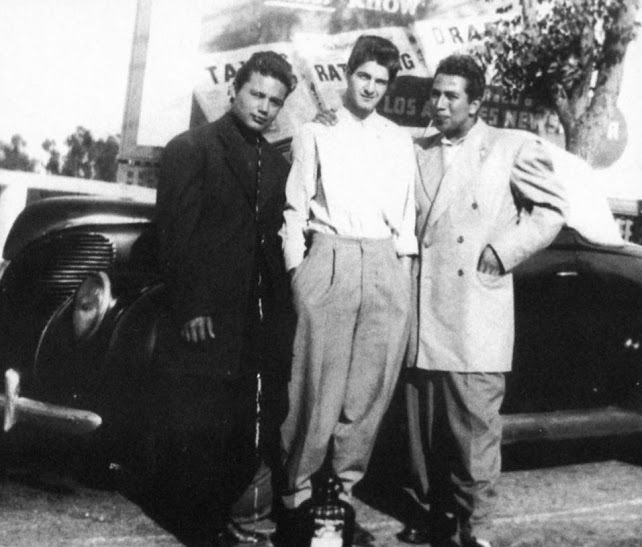 In the end, the zoot suits became a symbol of the struggle of Mexican-Americans for their rights.